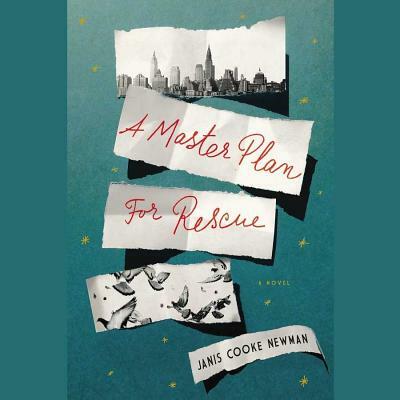 A magical novel about the surprising acts we are capable of in the name of loveSet in 1942 New York and Berlin, A Master Plan for Rescue is an enchanting novel about the life-giving powers of storytelling and the heroism that can be inspired by love. In essence, it is two love stories: that of a child who worships his parents, then loses his father to an accident and his mother to her resulting grief, and that of a young man who stumbles into the romance of his life, then watches his beloved decline, forever changing the arc of his future. Each story is propelled by the belief that if one acts heroically enough, it will restore some part of what--or whom--has been lost.But when they meet, this boy and this man, their combined grief and magical thinking allow them to dream the impossible. Sharing stories of the people they have lost, they are inspired to join forces and act in their memory--to do something so memorable that it might actually bring their loved ones back--even if only in spirit.A Master Plan for Rescue is a beautiful tale, propelled by history and imagination, that suggests people's impact upon the world doesn't necessarily end with their lives, and that, to some degree, we are the sum of the stories we tell.